for $1,350,000 with 3 bedrooms and 3 full baths, 2 half baths. This 5,185 square foot home was built in 1995 on a lot size of 8.67 Acre(s). 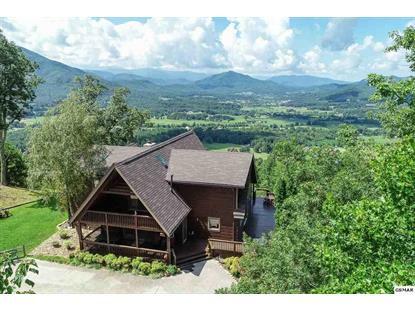 Stunning Long Range Mountain Views from this custom built Smoky Mountain Lodge retreat, located just 15 minutes from the Pigeon Forge Parkway, 5 minutes from the backdoor National Park entrance, and situated in the heart of Wears Valley. Soaring cathedral ceilings with walls of glass give drama to the great room, anchored by a handsome mountain stone fireplace, spacious open kitchen flows through to the dining area with plenty of seating and space to entertain large groups. Views can be had from every room and every angle or enjoy the landscaped yard and hundreds of feet of the spacious airy decks and multiple covered porches. 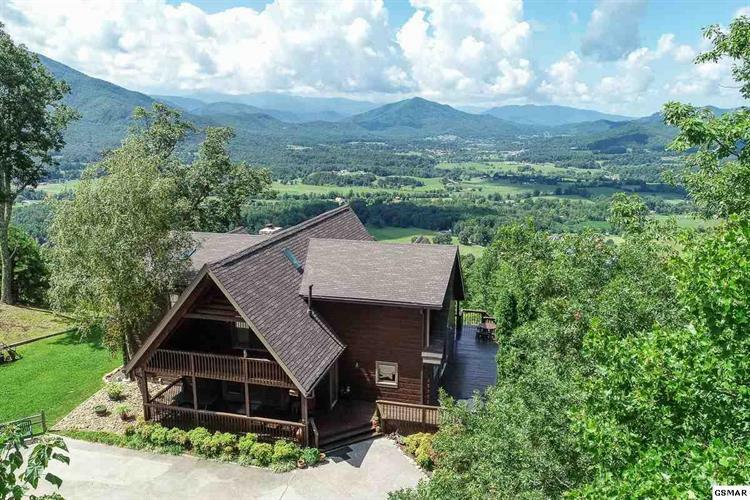 This lodge was built by the developer of Dogwood Farms for his own personal get-away- which means the attention to detail and quality will not disappointment. Unique and extremely rare pecky cypress tongue and groove gives this cabin the a rustic feel that is Smoky Mtn. living at its best! This generous floor plan offers a private lofted master suite with walk-in closet, bidet, dry cedar sauna, and attached office. 3 bonus rooms, recreation room, and wet bar are offered in the fully finished basement. Gently rolling and level lot for a house seat, gives you room to romp with over 8 acres of your very own National Park-esque setting and is 100% private accompanied by an outdoor custom fire pit. Extra acreage is actual build-able lots that would have this same fantastic view. New roof, new stain, re-surfaced drive, recently upgraded HVAC with 3 separate units (one for each floor), on demand gas hot water heaters, new main level carpet and porcelain tile, and updated bath plumbing, and lighting fixtures. This lodge is move in ready or just a few steps away from being a cash flowing 2nd home!